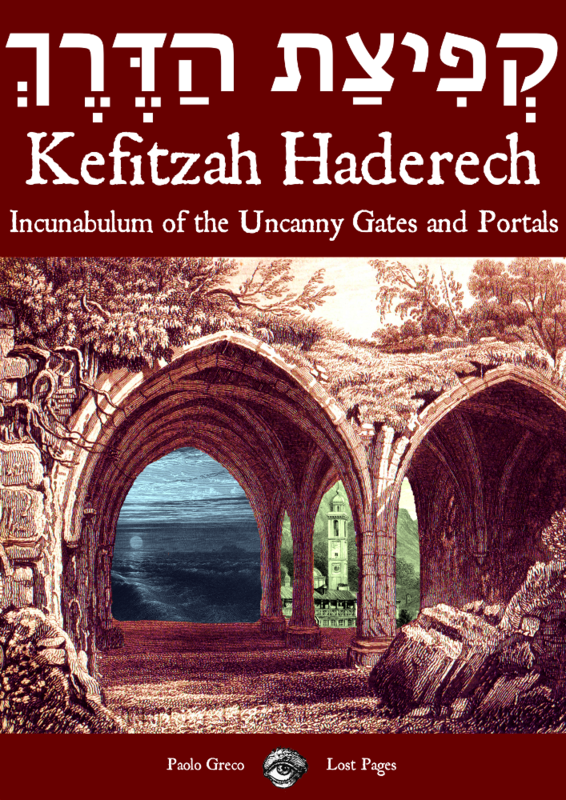 Kefitzah Haderech, more commonly known in the OSR as the “book of portals” because it’s easier, has been reviewed at Gothridge Manor, Wampus Country and Heropress. And this means that I ran out of stock of the print version. Of course the PDF is still available, plus you can always preorder the second printing (and get the PDF thrown in anyway for good measure). The first print run was in retrospect truly tiny, but I remember thinking “I’ll never manage to sell more than this”. Oh well. I’m not going to be in Glasgow for a bit, so I can’t productively talk to my printer, look at proofs, nor have the software to do a necessary couple of tweaks to the files. I should be able to ship the second print run around the 16th of July. Second topic: the Adventure Fantasy Game preview. The preview is a 25 pages excerpt of the handbook containing the first two whole chapters – character generation and the 5MORE task resolution system – plus 5MAIL, the introductory combat rules. You can point your players at the files and they’ll be able to generate a character, read the (really short) game mechanics and be ready to roll. Haven’t posted here in a while because I’ve been busy with writing and, well, having a trip to the Scottish Highlands. 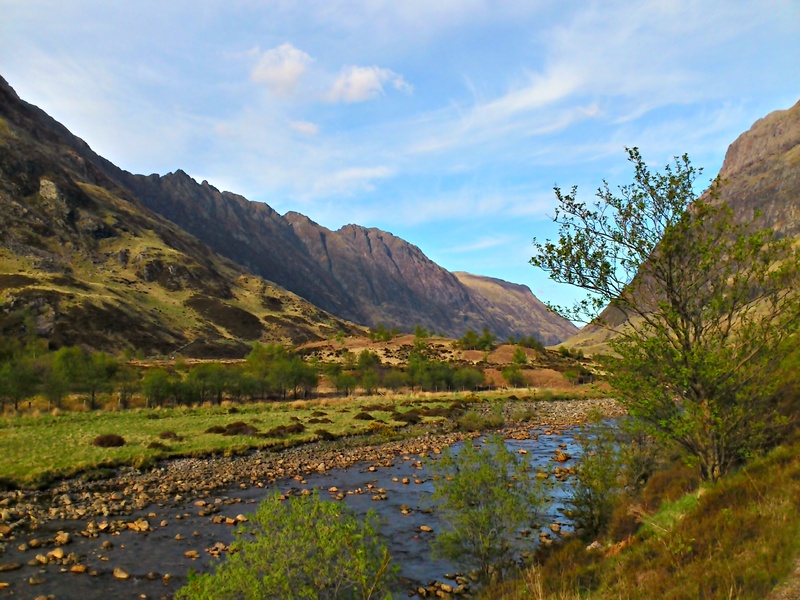 This is just outside Glen Coe. But I’ve been otherwise productive! I swear! And I have news! First of all Tim Shorts of Gothridge Manor and read the review of Kefitzah Haderech. While you’re there also grab Knowledge Illuminates. Second, I finally acquired the physical cover for Chthonic Codex, and this is one of the mock covers I made to “feel” the layout. Third, the last Adventure Fantasy Game editing round/revision/layout has been completed thanks to the always awesome Tim Snider and Richard G. This means I should be shipping them this week. And there’s a new cover because I liked the one i did for Kefitzah Haderech and have decided to do all covers in a similar way. Available in PDF + Source and in Print + PDF + Source. 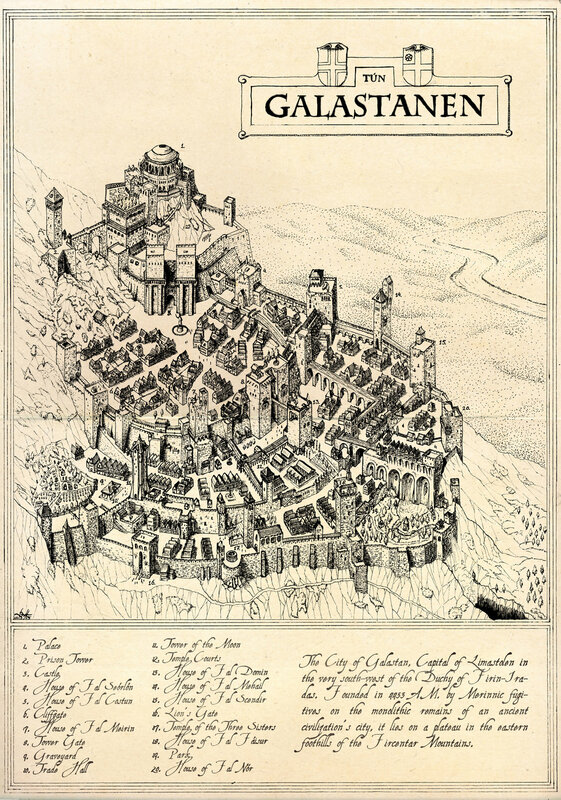 This is an evocative map of the City of Galastanen. It’s vaguely resemblant of M.C. Escher early works. Things have a reason. Often the reason is given by the reader. Put it in your campaign. Put it in all your campaigns. Stepping through the Lion Gate brings you to Galastanen. Out of the gate lie many worlds. Stepping out of the Lion Gate, going home is mostly guaranteed. Unless you’re following someone else. Because Galastanen exists in a seam of sorts. It’s where all the universes were folded and quilted. If such a concept could be called “where”. Ignore the incoherent hydrography: Galastanen does not care for your Euclidean space. Water gets there from a mountaintop glacier in another world. Portals are awesome. I started writing a small supplement about them, Albert joined, and Carlo Bottiglieri helped a bit. Now Incunabulum of the Uncanny Gates and Portals is almost ready: I’m checking the material for inconsistencies. It covers portal topics like why are portals cool?, what should I do with them? and how do I build them? It also comes with a muleload of tables to generate portals and everything related, including PORTATRON, the one-stop-system of portal generation. Soon to be released on PDF and print. 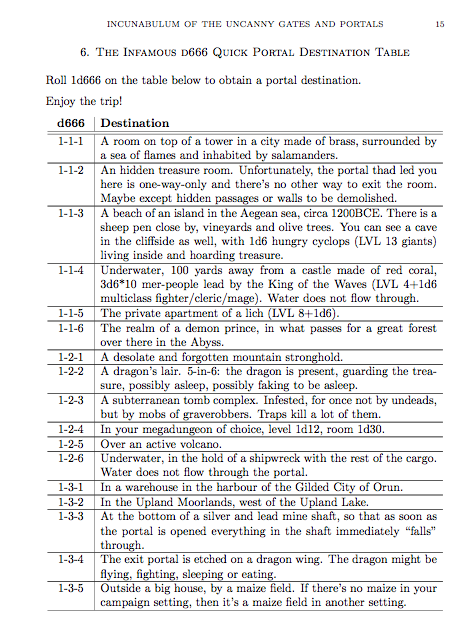 IotUGaP (not an official acronym) also contains The Infamous d666 Quick Portal Destination Table, which does what it says on the tin. Because we wanted to have a d1000 table and have the longest OSR table as some kind of joke, but then we realized that 216 portal destinations ought to be enough for everybody. At the moment the table by itself is 11 pages long. The whole book is 32 pages. Below are the first 17 entries. 199 follow.